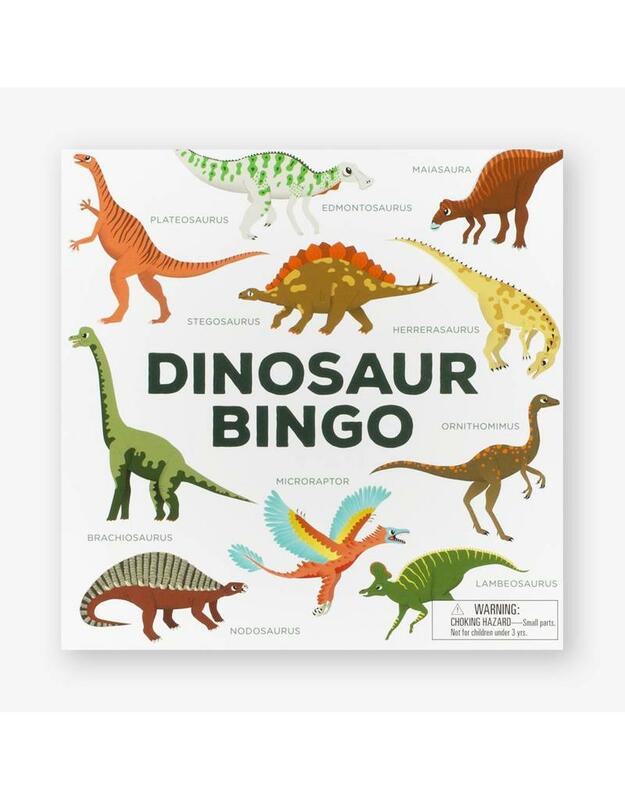 Play bingo with a huge Giganotosaurus, an armour-plated Stegosaurus and many other fearsome dinosaurs in this fun and engaging take on the classic game. 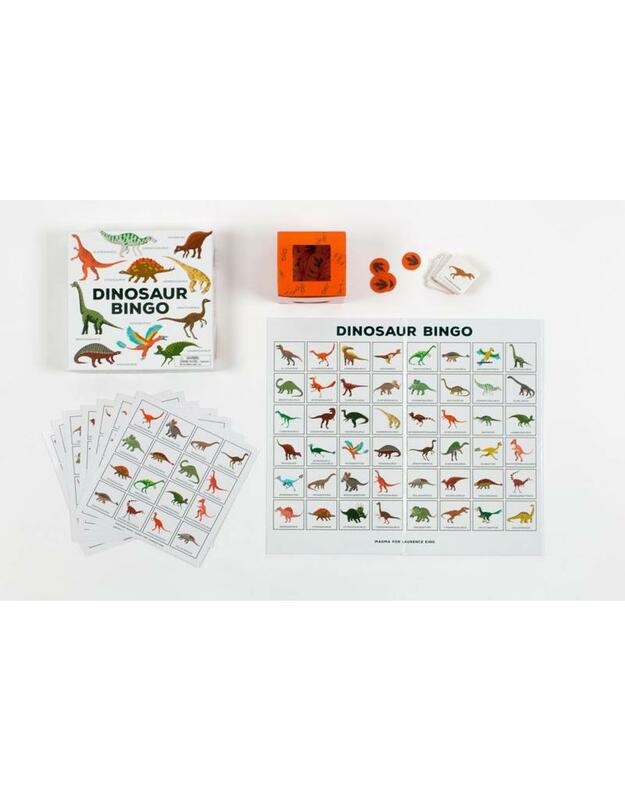 Easy to play and full of weird and wonderful creatures, Dinosaur Bingo will engage and delight children for hours. 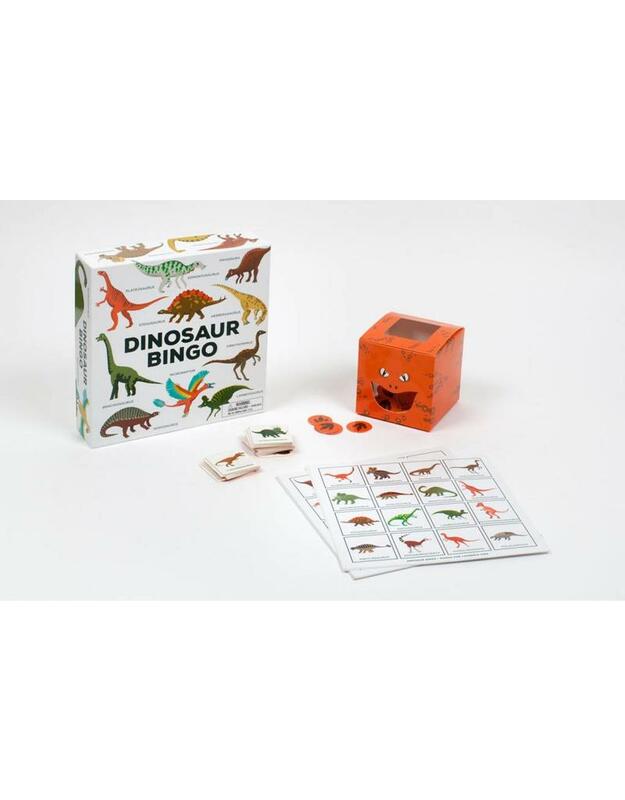 It can be played with three to eight people, making it the perfect game for dino-mad children and their families. 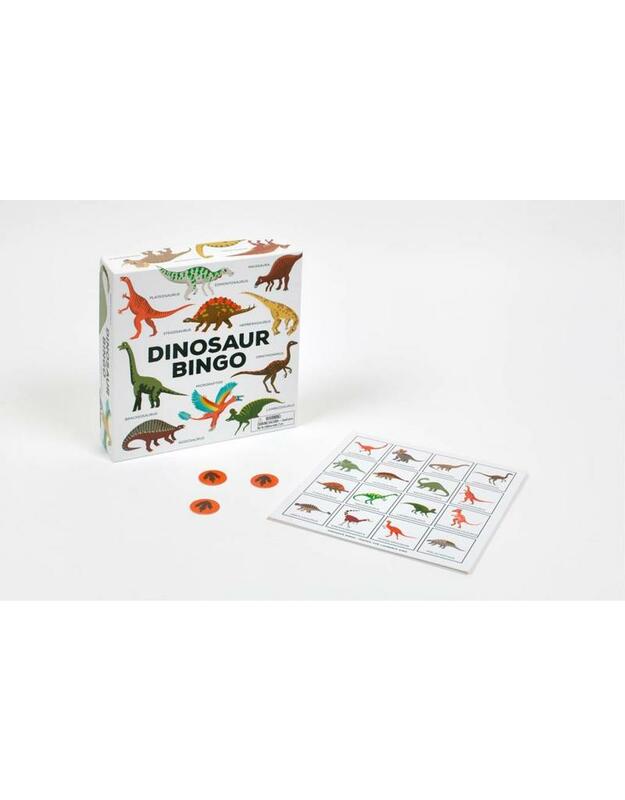 Dinosaur Bingo contains 48 chips and a cardboard dino head to store them in, a game board, eight double-sided bingo cards and Jurassic counters for you to mark up your card.